Thoughts/feedback welcome ... looking to give the place a more bespoke feel without using any marks for obvious reasons. Dibs go to mods if they call it. After that I play by feel based on reputation and other things. But if you want to get a leg up on the competition a picture from a recent tailgate showing your setup wouldn't hurt. If you have a (insert dedicated tailgating vehicle name here like Huskiemobile or Jambulance) you're pretty much a shoe-in. Contact Dog Fan. He can coordinate a co-marketing campaign with the Paperback Grotto to introduce the Dog Pound to new clientele. Just to make sure I am clear, your proposing to launch a separate fan forum for niu and uc? Or would this html reroute a user back into this forum? (04-11-2019 11:26 PM)NIUSox10 Wrote: Just to make sure I am clear, your proposing to launch a separate fan forum for niu and uc? Or would this html reroute a user back into this forum? I'm talking about having our own custom look and feel here that does not use the official trademarks (for obvious reasons). Nothing is moving or changing. That domain works right now. It was put on the brick in the donation drive you guys did. That's not new. Could you get away with using the current font? (04-12-2019 08:50 AM)DogTracks Wrote: Could you get away with using the current font? This is a great suggestion, and a must. NIU has a customized font, which for similar reasons to the logos/trademarks you may not want to use; however, the font currently being utilized is a reasonable enough facsimile that doesn't infringe on any copyrights. It should definitely be used in whatever new art is created. Oh yeah, a more blocky font is something I agree with. For sure. Now with more appropriate font. Looking for a font with the block corner round characters to see how that'd look. The one you see below here is copperplate, which if you look at the bare font looks very NIU-ish. This font appears to be the exact one currently used. 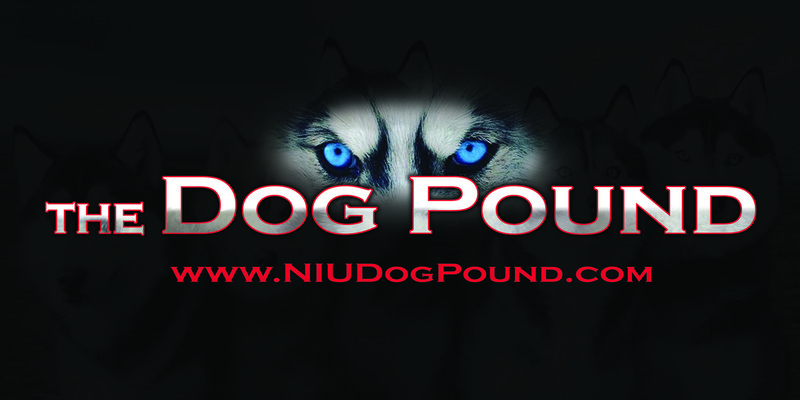 Also, if you can make the change so it reads "NIU Dog Pound" instead of "The Dog Pound" as it reads now. Can we see versions with the eyes above the header (as it is now) and another version with the eyes below the header? Thanks. I'd like to add a third version. 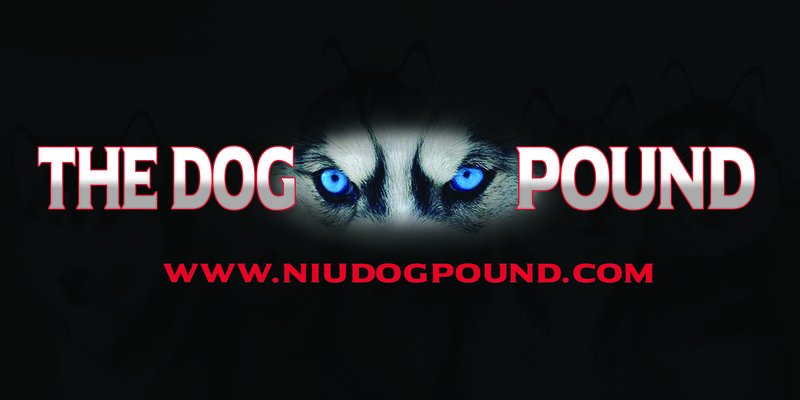 Can we see a version with the "NIU" centered above the eyes and the "Dog Pound" centered underneath the eyes? Thanks again. (04-14-2019 01:04 PM)NorthCoast Wrote: This font appears to be the exact one currently used. My inner not-a-lawyer-admittedly gets nervous at using NIU in the name. I don't think that will fly, but I can ask actual lawyers I know. I don't mind so much with it being in the domain given that the domain just deposits you here at CSN. Exactly. Since "NIUDogPound" is the actual domain name, nobody should have a legitimate basis to object (I don't think anyone would). But then again, I'm no lawyer either. Probably best to run it by your lawyer-types. Or ask "Max Power" here.